Performance Insulation & Energy Services, Inc. Comment: Planning to finish basement and looking for insulation options, including cost. Comment: Hi - I'd like a request to get spray foam placed on our 2nd floor space. It was originally a 2 bedroom space that we have now stripped down to the studs, including removing the existing insulation that was very old. We'd like to drywall the space and have it go up to the peaks. Please contact me at xxxxxxxxxxxx. We are located in NE Portland. Comment: need blown in insulation to two walls of a bedroom . These walls are also exterior walls and have no insulation , house built in 1947. The walls are plaster and we will do a skim coat to cover cracks damage to the plaster ( we already have someone to do this part). Comment: Rodents have been in the attic and has damaged some insulation in the attic. Comment: I would like to get an estimate for blown in insulation. We are looking to improve the sound and need to improve the walls that are empty for a commercial location. Portland Insulation Contractors are rated 4.70 out of 5 based on 349 reviews of 19 pros. 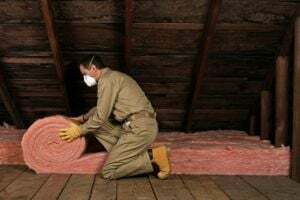 Not Looking for Insulation Contractors in Portland, OR?